After practicing customising a bit, I decided to buy a cheaper Blythe to play with. I still can’t justify messing up a really pretty doll yet. 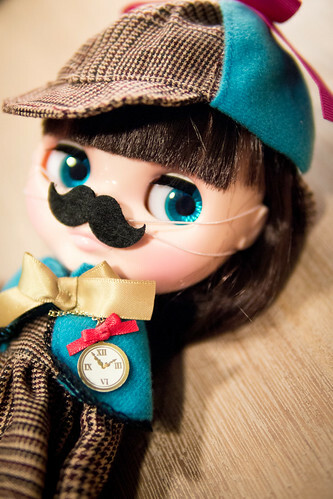 Lorshek Molseh was on sale (her name is an anagram of the beloved Sherlock Holmes) on CCT, and I picked her up thinking her little moustache was comical and her outfit was a bit knaff but cute all the same.